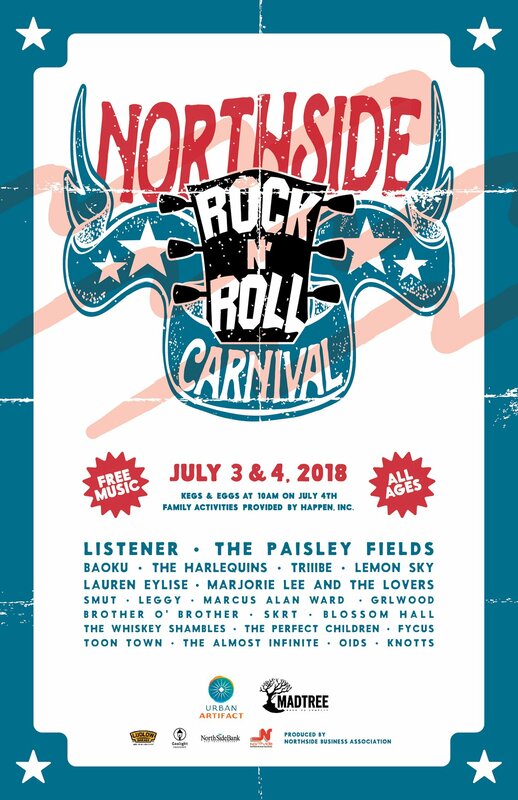 Get ready for the Northside Rock ‘n’ Roll Carnival, July 3rd + 4th! Presented by the Northside Business Association, the Northside Rock ‘n’ Roll Carnival is a 2-day family-friendly event in Hoffner Park, including live music on multiple stages, local food and craft vendors, locally-brewed craft beers, plus activities for the kiddos presented by Happen, Inc. Stay tuned for the full music and entertainment schedule to be revealed soon, you can check for announcements HERE. And of course, be sure to put the Northside 4th of July Parade on your calendar as well, 12pm on July 4th, rain or shine, from Hamilton & Ashtree all the way down Hamilton Avenue to Hoffner Park, it’s like Christmas in July in Northside! Need community input on site selection for District 5 HQ of the Cincinnati Police Department – College Hill or Central Parkway?